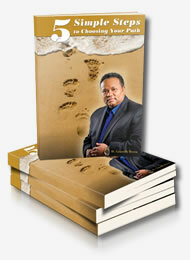 Before you attempt to publish your book, please read mine. 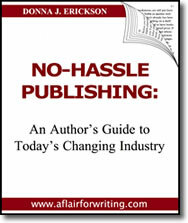 Learn all the basics of publishing today including: what you need to know before signing a contract, the difference between traditional and independent publishing, online and bookstore sales, FAQs, and more. 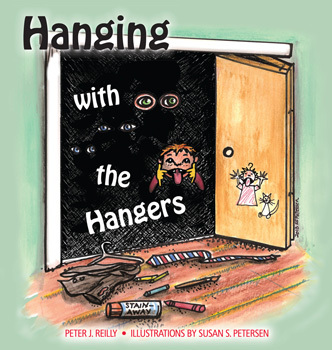 Peter's book is about the delightful adventures of a family of hangers living in a closet. 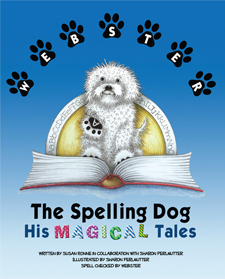 Webster the Spelling Dog is the first in a series of books. Follow Webster's adventures as he learns how to use his special and magical gift: he spells words with his paws. The book is a powerfully written, uplifting, and emotional first-person account of Miller’s military involvement in Vietnam while he and his soldiers struggled to survive and prevail. As a member of the U.S. Army, Miller served in the Vietnam War and commanded Task Force Builder, the military force that built eighteen schools, three village hospitals, and three village marketplaces in Vietnam during 1967 and 1968, when he advanced to captain. Miller feels the lessons he learned can be applied to today’s wartime situations. He was inspired to put his memories on paper, so his work could benefit today’s soldiers. Miller says that winning the hearts and minds of the Vietnamese was much better than killing them. 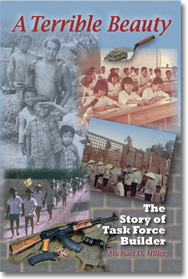 The schools that Task Force Builder was responsible for building remain in operation today. And graduating students learn that years ago some Americans who had tried to help out are the ones who are responsible for their academic success. But the success of the program was ignored by the military command, which prompted Miller to write his memoir. He hopes the new commanders in Afghanistan and Iraq will continue with his ideas. 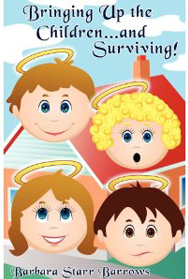 Bringing Up the Children...and Surviving! 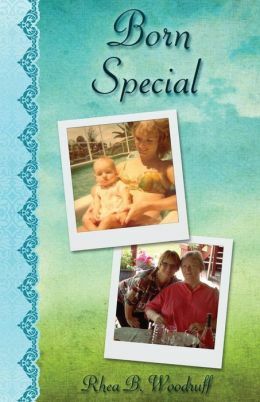 This is the second book we've published for author Barbara Starr Barrows. Whatever your age, be prepared to laugh. You'll find her recollections about raising children to be hilarious, as well as heartwarming. The following stories are some of the many incidences in my children’s lives and my life. I hope my children know that I love them and will always love them. Their lives were not easy all of the time. I was married for fifteen years and then divorced, so they were raised not only by a single mother, but also, by necessity, with a variety of interesting strangers who were the boarders in our home. My children are ethical, kind, hard-working people who are good, not only to their fellow human beings, but to all God’s creatures. I am very proud of them. I have also been blessed with loving grandchildren, wonderful parents and family, very supportive in-laws, extended family, loyal friends, and dear neighbors. I have been very fortunate. I hope these stories make you chuckle as they do me. Never having learned to be a great disciplinarian, I really had to inwardly laugh at some of the antics while trying to look stern on the outside. The children were a great source of entertainment. This book is a sincere and vivid account of Tina's descent into the world of mental illnesses. She was offered one wrong diagnosis after another: depression, obsessive-compulsive disorder, bipolar, Asperger's syndrome, and a suspected personality disorder. Tina's first hospitalisation resulted from an eating disorder. Doctors prescribed an anti-depressant, but the medication precipitated manic episodes. 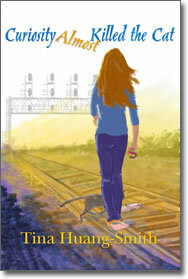 Life became unbearable, and Tina attempted suicide by jumping in front of an oncoming train. She miraculously survived uninjured, but continued to struggle with mood swings and was put on more and more unnecessary medications, which insinuated a continuous manic-depressive cycle. Tina attempted suicide in the same manner a few months later, suffering a number of broken bones, multiple fractures in her skull, and a liver laceration, as well as a traumatic brain injury that paralysed her left side. She was in hospital for five months, slowly regaining movement and learning how to walk again. Tina's book ends with the realisation that no one has a perfect life; rather, it is our struggles that make us stronger. W. Granville Brown is a professional certified life coach who has assisted many clients in realizing their dream of moving from stagnant to success. He is also a much sought-after public speaker. His first published work was the best-selling novel, Choices. 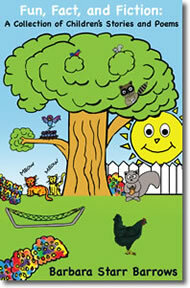 A whimsical collection of writings for readers aged 9 - 12. Dedicated to my brother, Norman B. Starr -- without whose patience and encouragement, these stories and poems would not have been written -- and his wife, Cathy Starr for her caring nature, patience, good advice, and devotion to the family. I hope she will read some of these stories and poems to her beautiful grandchildren. I don’t know what our family would do without her. We can’t work for free, so we must charge for the value we provide. We offer the highest quality services to deliver a professional product to you, the author. Our prices are lower than most, and we offer seasonal specials throughout the year. We have listened carefully to authors who have published elsewhere. Their main complaint has been lack of customer service and accessibility once their payment has been processed. Unlike many of our competitors, at A Flair for Writing you receive unlimited consultations with our highly skilled and knowledgeable Publishing Manager. We are extremely selective in our acceptance process. Your manuscript will receive a sample evaluation and a timely response within two weeks. We want our name associated only with the quality we are known for. We are a “one-stop-shop.” You can take advantage of our full array of adjunct services, including editing, book layout, illustration, marketing, and public relations. We offer Print On Demand services for additional copies of your published book. We have connections with book coaches, social media experts, website developers, and video trailer services. If you have further requirements and don’t see them listed, let us know and we will refer you to an appropriate source.